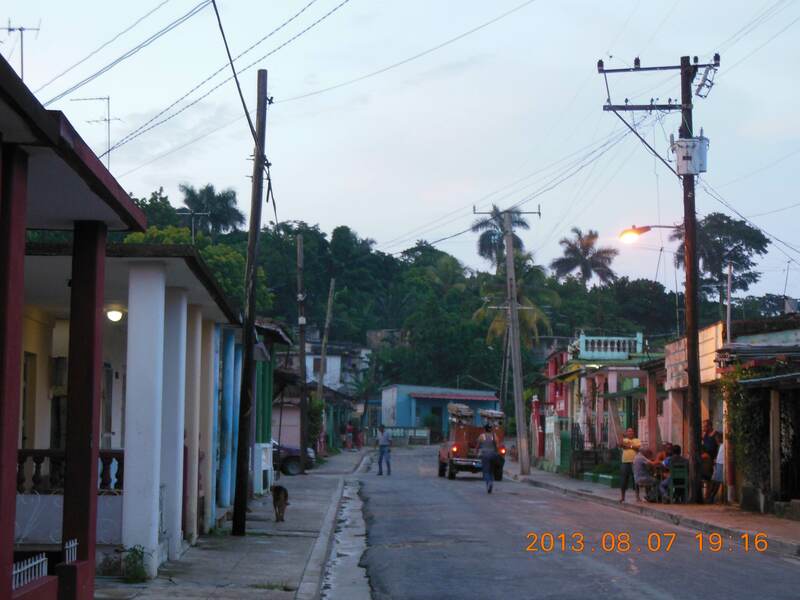 During my time in Cuba I came to learn many of the country's realities of life. Some were hard to face, but others were truly amazing. Simply unbelievable! For example, racism and class division just simply do not exist in Cuba. In terms of race relations, everyone is so mixed, and has been mixing for so many generations that it is difficult to tell what most people's ethnicities are. The concept of race did not exist for the Cubans that I spoke to. When I would ask people about racism, they seemed confused as to what racism would consist of, and as to why I was asking. When I explained the United State’s race relations, they seemed to struggle to conceptualize the idea, because it just didn't exist in their world. I got looks of shock when I explained the United States' history of racism and the racial divisions that continue today. It was fascinating to see a country that shared in having a history of racism, but that had experienced such a different outcome. Cuba's racial blindness wasn't just apparent in words, but in action too. Cubans of all colors did everything together, everywhere. My family had blonde haired, blue-eyed neighbors stopping by, as well as dark-skinned friends. There weren't any neighborhoods segregated by race as there are in the United States. People explained to me that on average there were more black doctors than white doctors in every hospital. Most police I saw were black or mixed, to my surprise. I encountered no visible signs of racial division. It was quite incredible. Intimately tied into this racial peace is the fact that everyone in Cuba is the same class (excluding military and government officials). In this way Cubans' social relations were even more unbelievable, because there were no divisions based on class, clothing, visible signs of wealth, class customs, or any other usual causes of segregation. No one looked down upon anyone else for not having money, because everyone struggled all the time. Just like racial divisions, class pretension and class shame between Cubans does not exist. As an American, there were times I felt I had found a social utopia.